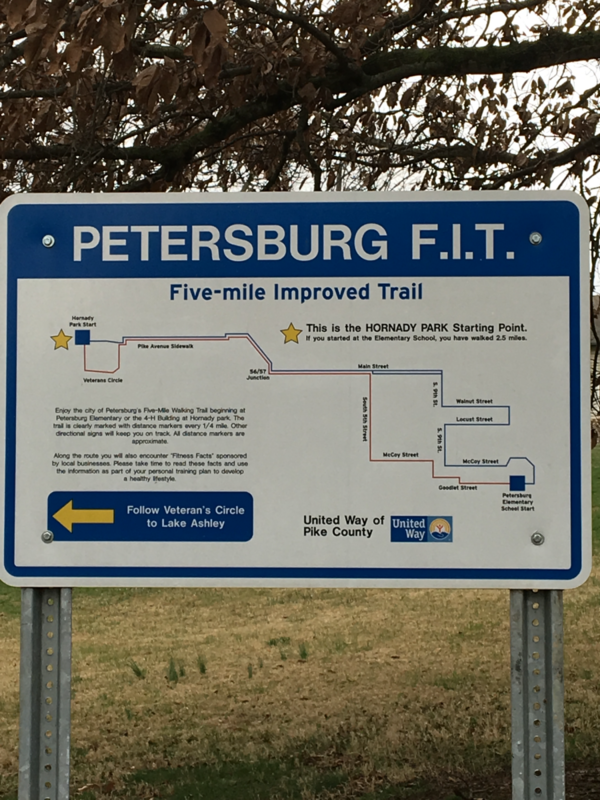 Enjoy Petersburg’s Five-Mile Walking Trail beginning at the 4-H Building in Hornady Park or Petersburg Elementary School. The trail is clearly marked with directional signage including distance markers every 1/4 mile to keep you on track. Along the route you will also encounter “Fitness Facts” sponsored by local health professionals and other community organizations. Please take time to read these facts and use the information as part of your personal training plan to develop a healthy lifestyle. 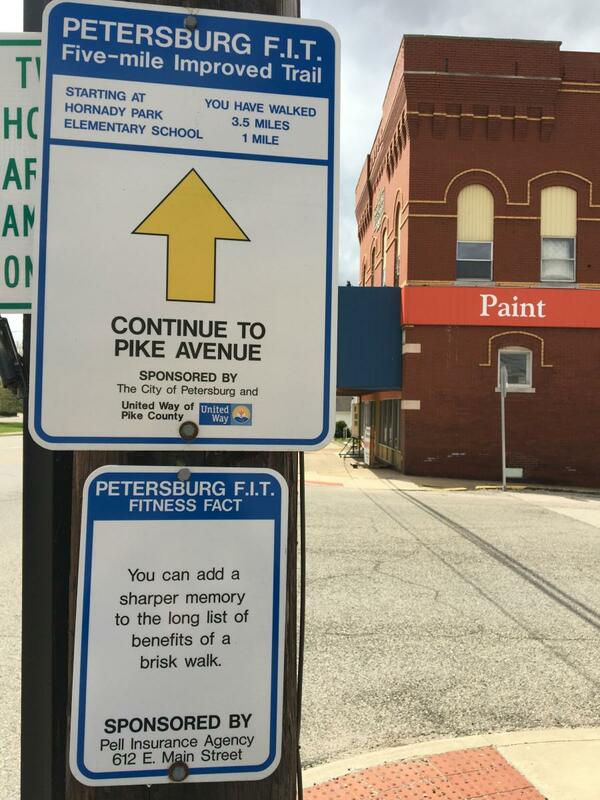 This was made possible because United Way of Pike County earmarked grant funds to enhance all of Pike County as a more senior citizen friendly community. The grant provided the city with 7 park benches that have been installed along the project trail. While citizen of all ages are encourage to use the trail, the benches are designed of a height and style that are friendlier to senior citizens or those with disabilities. 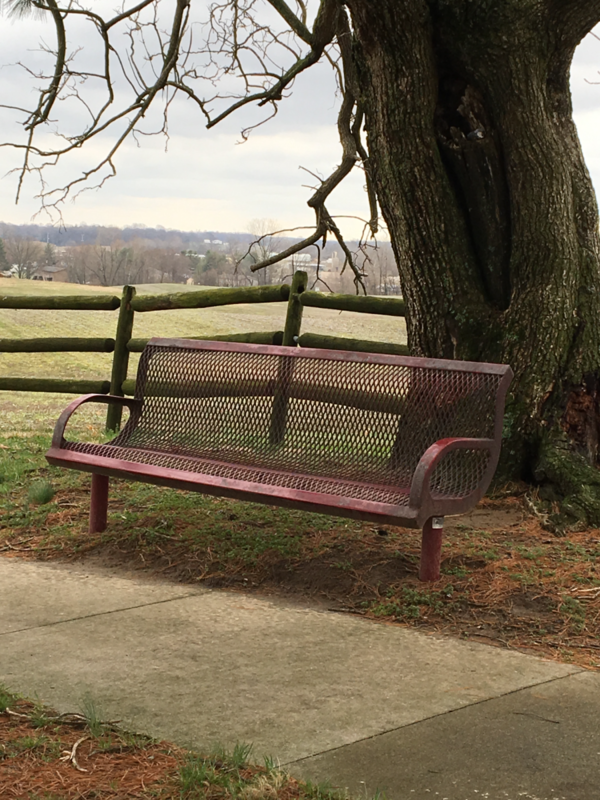 Additional benches were installed throughout the county including Otwell, Winslow and Jordan Park.